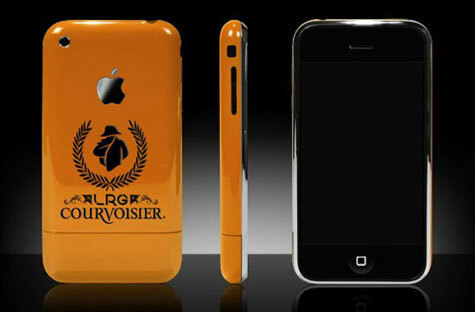 Famous Cognac brand Courvoisier has created an intruiging limited edition collection of customized iPhones, Curves, and iPods. 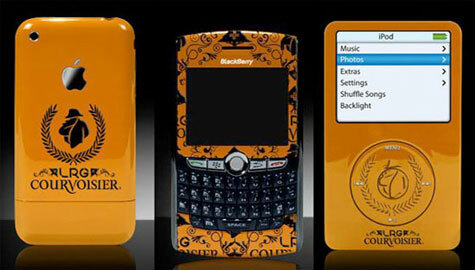 Courvoisier is going all out on their new Exclusif Cognac! 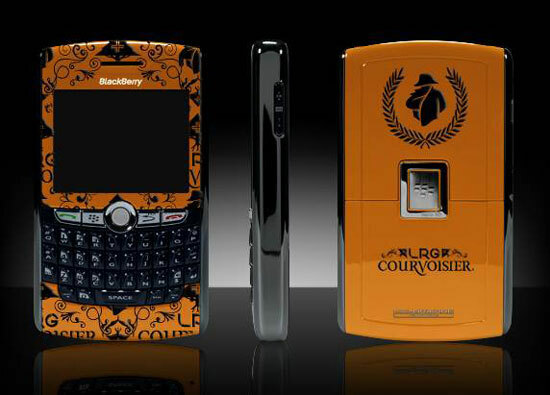 Including a multi-city tour (LA, SF, Houston, Miami, NY) this spring to show off an exclusive line designed by urban/skate brand LRG, inspired by Courvoisier… including a Napoleon Rubberband Jacket. 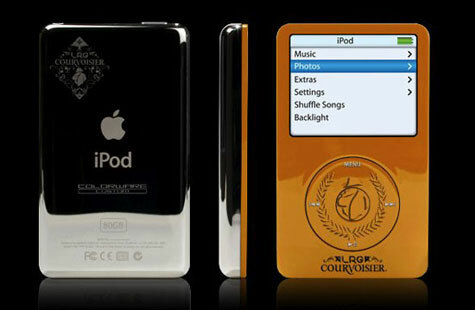 The collection features a surprisingly elegant shade of orange with artistic patterns in black.